Forecast your real estate business into a global level platform via real estate WordPress themes. These WordPress themes help you enhance the capabilities of your real estate business. The major participants of real estate market such as property agents, real estate appraisers, brokers and cost discrimination analysts make an efficient use of the real estate WordPress themes. The themes would provide you extremely easy-to-use interface and tremendous features like capture form, widget area, sliders and many more. In addition, the theme may provide various options and other numerable filtration such as location, price and property size. 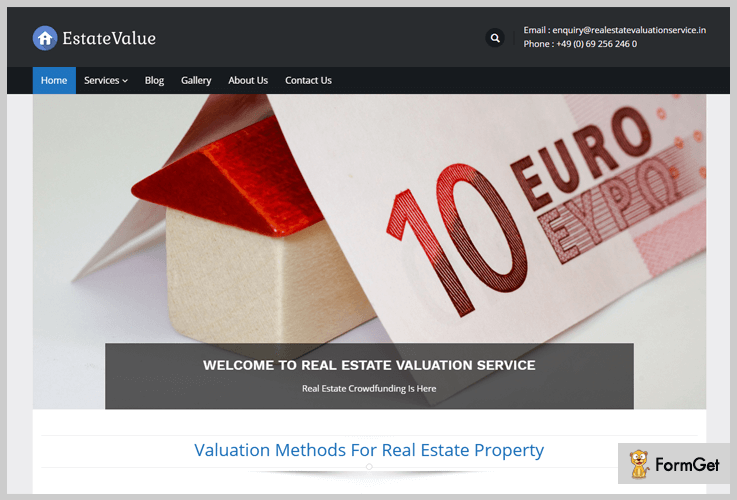 EstateValue is a real estate estimate service WordPress theme. The theme will provide a premium platform that will assist you in creating a real estate WordPress website. The theme also allows you to showcase the valuation services along with the images. You can buy the EstateValue theme with a developer licence for just $79 only. 100% responsive and compatible with the latest version of WordPress. It provides product rating feature. Built-in templates for cart, sale and checkout. 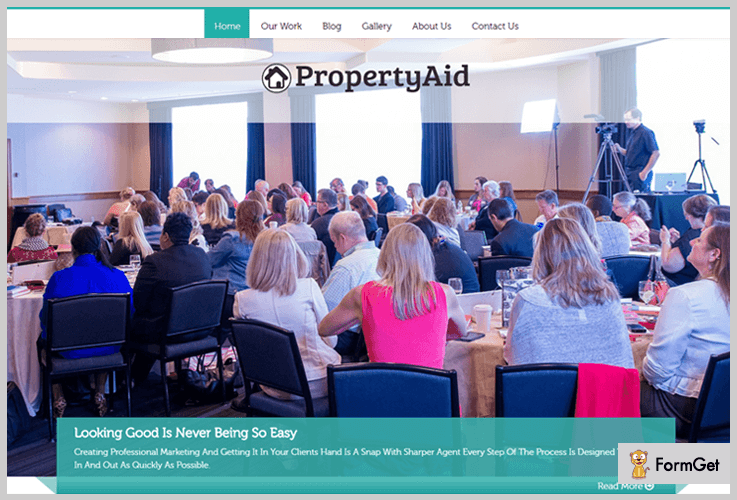 PropertyAid is a real estate marketing WordPress theme. The theme is specially designed for marketing agencies, real estate broker and real estate offices. PropertyAid will give your real estate site a responsive and elegant design. The theme comes with amazing sliding feature area for your website’s prime features arranged in layers. The PropertyAid multipurpose WordPress theme price is $79 only. It provides 8 pre-defined colour schemes. The plugin provides an inbuilt contact form. Google map is integrated within the theme. Clean code and highly responsive layout. 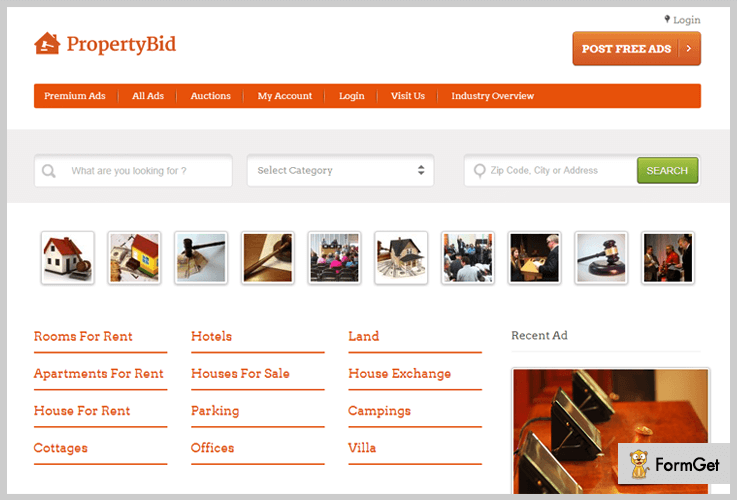 PropertyBid is a real estate auction WordPress theme. The theme has an extremely professional and amazing design and layout. 8 unique colour styles let you customize the site’s design as desired. 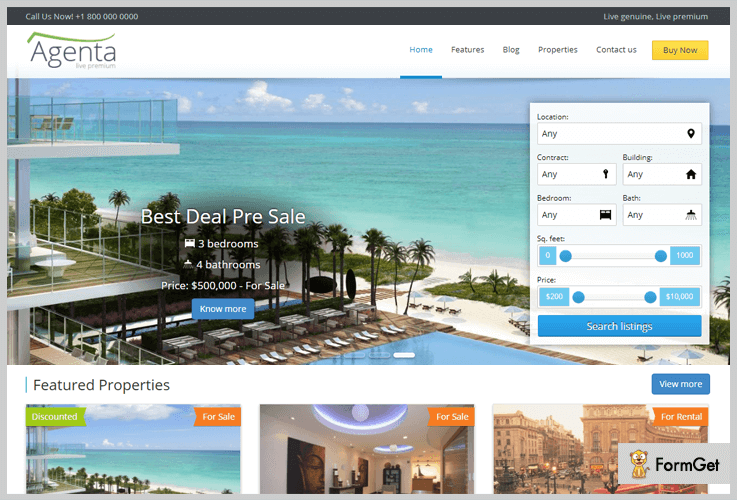 The PropertyBid real estate WordPress theme costs $79 for lifetime usage. Provides mobile ready classified themes. Cross browser compatible and made with debug mode on. A completely unique Ad design area with free/paid Ad listings, sliding Ad banners, Ad category section and free Ad call to action button. To build a reliable and robust real estate website you can use Agenata WordPress theme. The theme is designed for sales, rental and contact based properties. You can search the any desired property on the basis of its tremendous features. The feature list consists of the location, price, area or size etc. The Agenta real estate WordPress theme will cost $50 only. Enormous features and filter options. To help you sale faster the theme places the most attractive deal in the header section. Dedicated single page for every property. The One Page is a single page WordPress theme. That means all the necessary content can be put together on the home page. Plus it also helps you connect to your visitor to go throw the whole content in a flow. And let them understand the product in depth without any further doubts or disturbance of different layout redirection. The One Page is highly adaptive WordPress theme you can easily build a real estate site from scratch. The One Page is a completely free-to-use theme with enormous features. Google map embedded contact section. 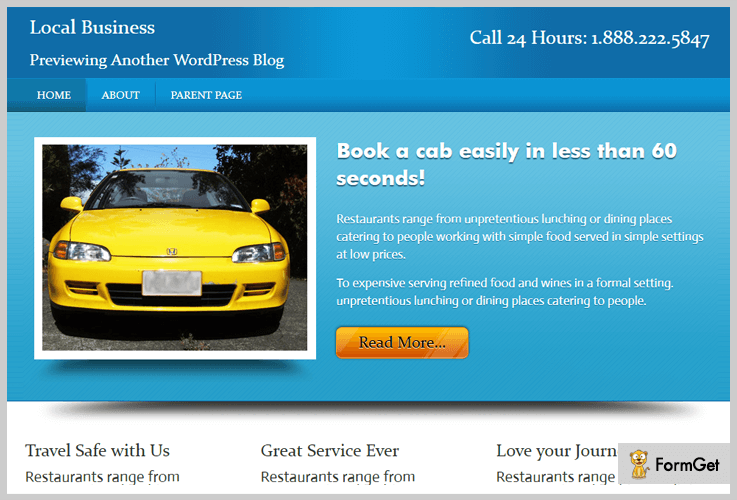 Local Business is the only free theme with five widgetized areas. It is a quick and easy to setup theme. The theme can easily be moulded into any respective WordPress site with its highly customizable option panel. The Local Business multipurpose WordPress theme is available at wordpress.org for FREE. Fully responsive layout with 9 different colour options. The theme places the contact details in the top header. Lists services on the Home Page. Hope you have already chosen what suits you best among all these listings. We’ll say just one thing, invest your earned money at the right place. We’d highly appreciate any further queries and suggestions.